Contact: Phone: (603)557-7464 E-mail: sales@cepoint.net Serving IT Professionals Worldwide! 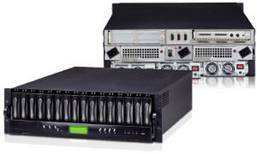 NAS Storage server solutions, Cepoint's Rugged RAID Server and storage solutions are High Performance, High availability RAID storage systems designed and built for Clustering and super computing platforms or Enterprise content management where Real-Time data storage and access is essential. 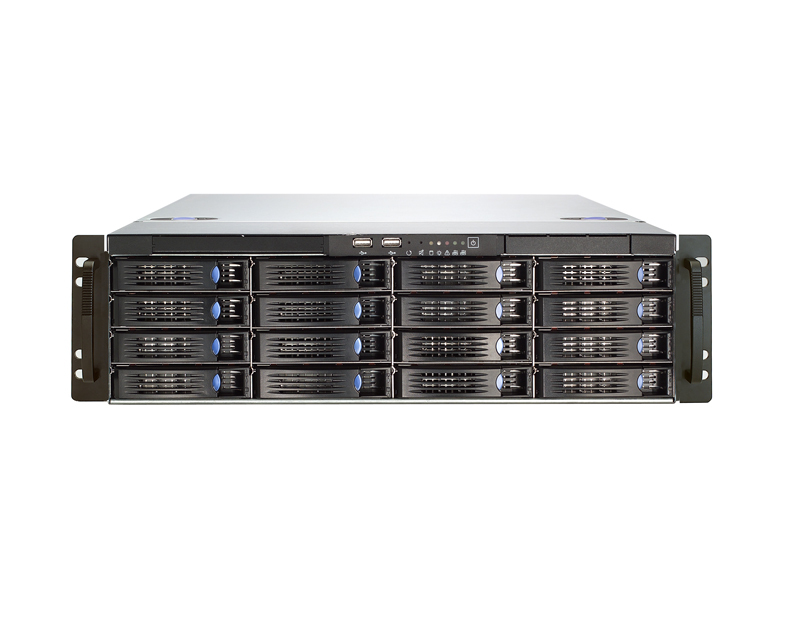 R-STOR™ RAID SERVER, NAS SATA, IP Storage, iSCSI, SCSI and Fibre-Channel RAID Storage & Server SUB-SYSTEMS are used in Scientific Research & Development Institutions, Real-Time Video Streaming and HDTV studio production, post-production and content delivery. OEM PRICE LIST*** General Price( December 2007). Please email Sales[@]cepoint.net for current prices and custom quotation. 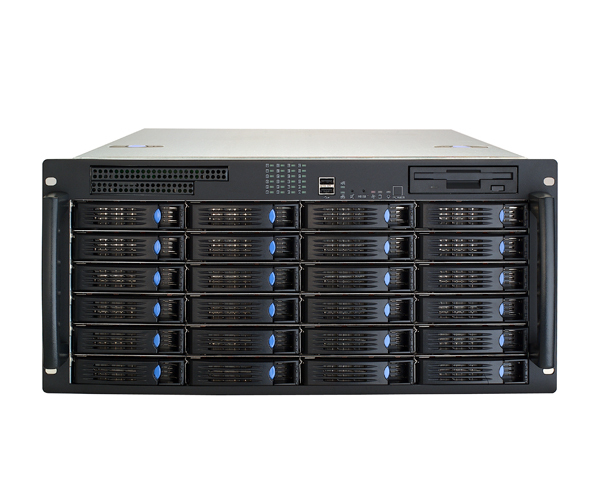 Storage Server SYSTEMS & Best Performing SA/N, NAS, and RAID Storage Built to Last!! 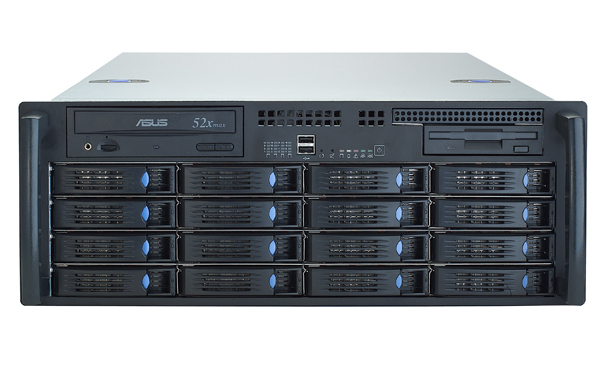 Providing Low cost, Reliable, Enterprise Storage systems to Storage professionals Worldwide! Enterprise Class Storage with iSCSI, IP Storage, NAS, SAN, and DAS using SATA RAID, IDE-SCSI, SCSI-SCSI and Fibre Channel RAID or disk array based storage systems and, subsystems can be all confusing to IT or storage neophytes who are delving into storage technology to implement Enterprise class storage, or expand their existing storage installations for their firm or customers. Sough ting out what appliances to deploy can be a nightmare, not to mention the difficult task selecting equipment and vendors, and, implementing the installation and maintenance challenges involved. Data stored on appropriate storage medium through every stage in the lifecycle (from the data's creation to its deletion) based on the data's value, and accessibility requirements, without question is the backbone of information management process. 2) Reliability. The storage resources should function or perform reliably without compromising performance or security. 3) Security. Data access and replication across the storage platform should be secure regardless of whatever switching fabric or channel of data and information flow across the enterprise. Whether via intra-net GigLAN, Fibre-Channel, internet or WAN, it is important to guard and ensure there is no security compromise. 4) Saving Cost. One critical fact most people do not realize is that investing on cloud or enterprise storage resources that is adequate for current, and, future growth for business continuity is not determined by how much dollar amount spent with big name storage manufacturers, but how smart and wise your dollar volume is spent to achieve your object, regardless of how popular or large the vendor. After all you are paying more for the "big name brand" and "proprietary" rope being tied around your neck in order to limit your options. 5) Easy to use: Regardless of equipment invested on, there should be no drastic and long winding learning cover on how you or your IT staff and customers can adapt to your new investment. The entire process should be smooth, easy to master and no learning curve. In other words, your storage systems should be a plug-n-play device so your IT staff or customers can easily start deploying your systems immediately upon opening the box. 6) Data Protection: Data Backup & recovery and Restoration. 8) Virtualization: Bare metal and Virtual Machines. VMware compatibility. 9) Cloud storage. Unlimited capacity scale out. 10) Analysis. Finally, can the benefits of your investing, or integrating or deploying a vendor's product into your process and, TCO (Total Cost of Ownership) outweigh the initial cost and expenses in the long run? For example; doesn't make sense spending $5,000 on a cheap, but unreliable vendor's system or $25,000 on an expensive but complex to manage vendor's system and end up spending $50,000 integrating it into your process, not to mention the headaches, loss of business time and unwarranted costs involved? The TCO must be reduced to justify any such investments. Now with most important facts briefly stated, an easier decision can be made going with a vendor whose products is less expensive, easier to integrate and easier to manage. Cepoint's industrial storage systems are Plug-N-Play and the company is always ready to assist you in configuring and installing your next storage. Just click and send for your custom pricing and we will help. 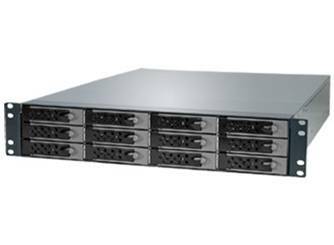 NAS2400 4-Bay 1U Rack mount SATA RAID Levels 0, 1, 5, 10 and JBOD , Gigabit NIC, 400W P/S, Swappable HDD Trays. Hot-spare drive support with automatic rebuild. 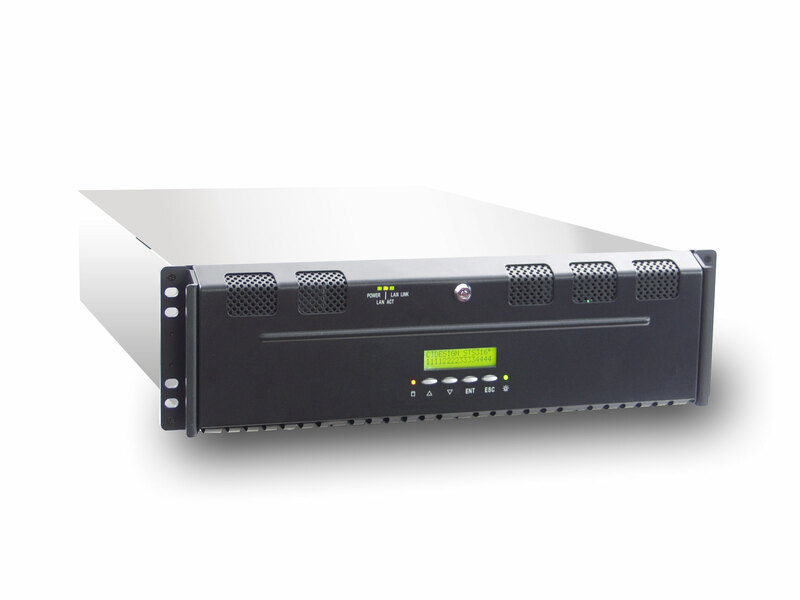 Hot-swap drive for easy replacement GUI RAID Manager software + NAS management support. 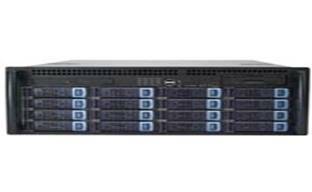 Rx524FCS (2-Ch 2/4Gb/s Fibre or iSCSI features .. 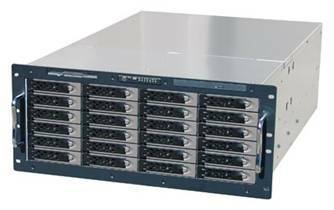 Arena Maxtronic MAI-9F12 12-Bay 2GbFC-IDE 4U Rack Mount RAID, Intel 80303 RISC CPU, Dual Channel Host Connection Option, 128MB RAM, 300W x 3 Redundant Hot Swap P/S, Hot Swap HDD Trays. GUI RAID Manager software + Hassle free NAS support. 1) Prices listed are OEM pricing only for systems integrators and authorized resellers. Educational institutions, Hospitals, Schools and universities may qualify for OEM pricing. Prices and configuration specifications are subject to change without notice. Cepoint Networks may periodically review its pricing with Resellers. 2) Systems above are RAID server ready subsystems. 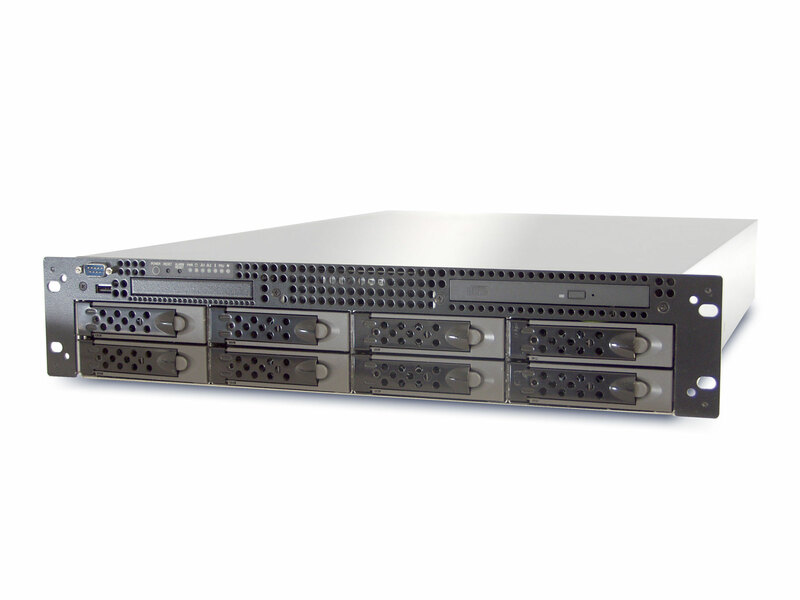 Please call or email for Bare (JBOD) systems pricing. 3) *** JBOD bare chassis does not come with Controllers, software or cables. 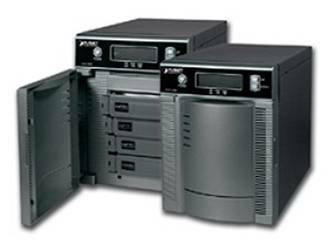 JBOD bare chassis or enclosures only comes with enclosure, power supply and drive trays (EFFECTIVE JANUARY 15 2004, CEPOINT NO LONGER SHIPS BARE CHASSIS. 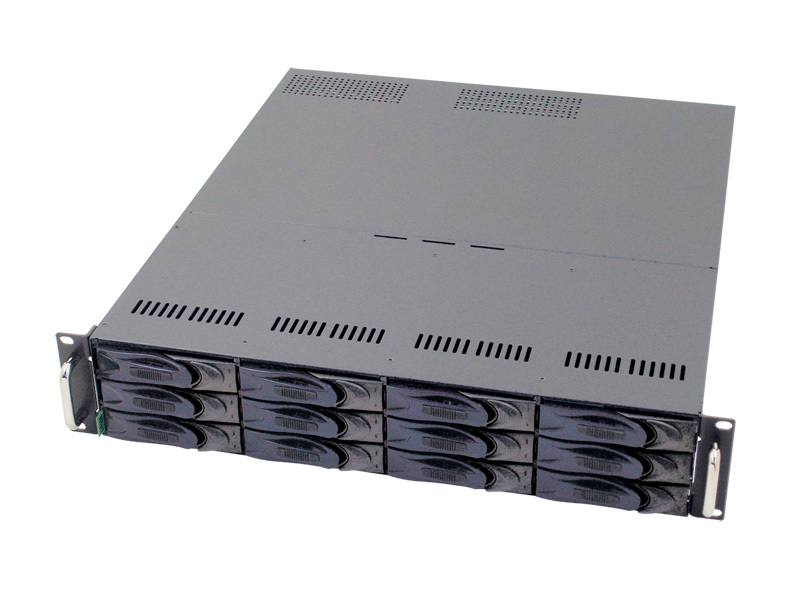 ONLY FULLY CONFIGURED RAID SERVERS OR SUB-SYSTEMS ARE SHIPPED. ©2004-2007.Cepoint Networks, LLC. All rights reserved. Cepoint, Cepoint Networks, R-STOR™ are trade names or trademarks of Cepoint Networks, LLC. All other trade marks are properties of their respective owners. For more information Contact: sales@cepoint.net Phone: (603)557-7464 Website: http://www.cepoint.net Cepoint storage array sub-systems are manufactured and tested with the best industrial parts and components that have been subjected to the highest quality process in the industry. Pictures or photos shown are for illustration purposes only, and does not necessarily show the actual colors or exact product(s). Specifications may be subject to change without notice. Prices listed are OEM pricing only for systems integrators and authorized resellers. Cepoint reserves the right to review its pricing without prior notice. All sales are final. Net 30 days for Qualified Government agencies, departments, Educational Institutions and pre-approved accounts. 50% deposit and balance COD for established and approved accounts. ALL other new accounts requires Prepayment by T/T, EFT (Electronic Fund Transfer)/Wire Transfer. Money order, Certified bank check or company check (US based companies only). International orders requires T/T or EFT only. Systems are warranted for 3-years. Disk Drive warranties are 3-years, except as may be specified by the drive manufacturer. Cepoint will replace or repair defective or DOA units with an authorized RMA. Cepoint Networks, LLC. warrants that the product(s) that it manufactures and sells will be free from defects in materials and workmanship for a period of one (1) year from the date of shipment. If a product proves defective during this warranty period, Cepoint Networks, at its option or discretion, either will repair the defective product without charge for parts and labor, or will provide a replacement in exchange for the defective product(s). ALL SALES ARE FINAL AND CEPOINT WILL NOT ACCEPT RETURNS WITHOUT WRITTEN CONSENT OF THE COMPANY. In order to obtain service under this warranty, Customer must notify Cepoint of the defect before expiration of the warranty period and make suitable arrangement for the performance of service. Customer shall be responsible for packaging and shipping the defective product(s) to the service center designated by Cepoint, with shipping charges prepaid. Cepoint shall pay for return of the product to customer if the shipment is to location within the country in which Cepoint Networks service center is located. Customer shall be responsible for paying all shipping charges, duties, taxes, and any other charges for products returned to any other location(s). This warranty shall not apply to any alteration, defect, failure or damage caused by improper use or improper or inadequate maintenance and care. Cepoint shall not be obligated to furnish service under this warranty a) to repair damage resulting from attempts by personnel other than Cepoint representative to install, repair or service the product; b) to repair damage resulting from improper use or connection to incompatible equipment; c) to repair any damage or malfunction caused by customer’s actions or attempts to modify the product(s). Cepoint may bill a 15% re-stocking surcharge fee for any cancellation of order processed. THIS WARRANTY IS GIVEN IN LIEU OF ANY OTHER WARRANTIES, EXPRESS OR IMPLIED. CEPOINT NETWORKS, LLC. AND ITS VENDORS DISCLAIM ANY IMPLIED WARRANTIES OF MERCHANTABILITY OR FITNESS FOR A PARTICULAR PURPOSE. CEPOINT NETWORKS’ RESPONSIBILITY TO REPAIR OR REPLACE DEFECTIVE PRODUCTS IS THE SOLE AND EXCLUSIVE REMEDY PROVIDED TO THE CUSTOMER FOR BREACH OF THIS WARRANTY. CEPOINT NETWORKS AND ITS VENDORS WILL NOT BE LIABLE FOR ANY DIRECT OR INDIRECT, SPECIAL, INCIDENTAL, OR CONSEQUENTIAL DAMAGES OR LOSS OF REVENUE OR BUSINESS LOSS IRRESPECTIVE OF WHETHER CEPOINT OR THE VENDOR HAS ADVANCE NOTICE OF THE POSSIBILITY OF SUCH DAMAGES OR LOSS. FOR COMPLETE DETAILS OF COMPANY’S TERMS AND CONDITIONS POLICY PLEASE read company’s full policy link in homepage website..